Metalworking is all about cutting or shaping metal and in both cases you need fluids that not only lubricate but also cool the metal. The development of metalworking fluids over time has moved from water, to animal and vegetable greases, mineral oils and oil emulsions to the more recent use of clear synthetic fluids. Today a broad range of cooling and lubricating fluids represent key components for manufacturing industries. As a rule, oils that are not emulsions – called neat oils – are used for complicated shaping work where good lubrication is important. Fluids used in cutting are usually emulsions because they must contain water for its cooling properties. Naphthenic oils have long been considered superior to paraffinic base oils for both neat oils and emulsions, but over the last few years development of new additives has improved paraffinic oil performance. In many cases these additives have shown good results and paraffinic oils can now be used in applications where they previously did not function satisfactorily. Nonetheless, these new products generally mean a higher price for the finished fluid and naphthenic based products still provide technical advantages. 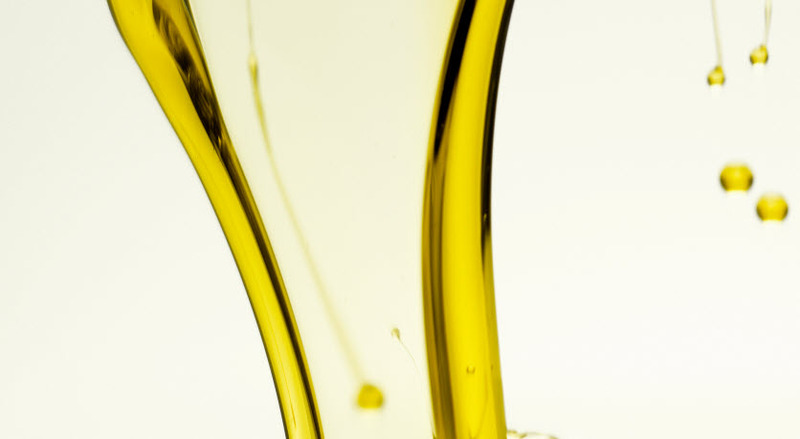 Much time and effort have been expended on developing additives that can be dissolved in paraffinic oil and these efforts have been successful, in certain cases, in reducing the differences between naphthenic and paraffinic oils. But at the same time environmental considerations have increased interest in replacing the chlorinated hydrocarbons that are part of traditional formulations. This means ever more complicated combinations of additives are necessary, placing high demands on the oil's solubility properties. Naphthenic oils have good solubility properties and can meet these demands. 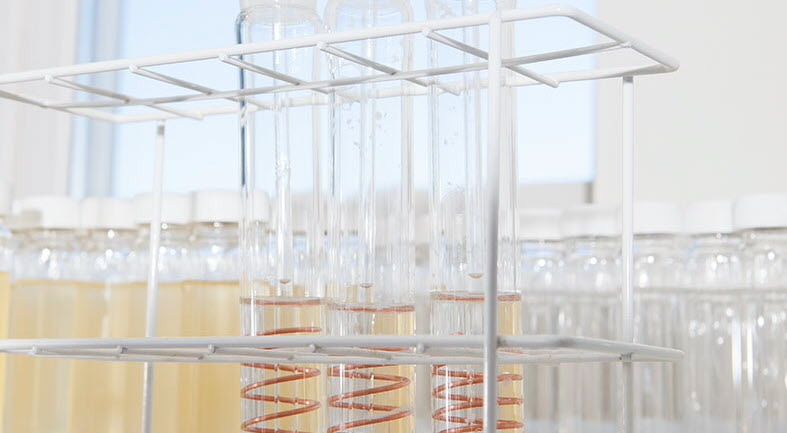 Nynas has carried out tests to establish the low temperature properties of formulations where overbased sulphonates have been used to improve solubility in paraffinic oils. Two formulations were compared in the analysis: one formed from a naphthenic base oil (Nynas T22) and the other from a paraffinic oil with the same viscosity. Both formulations also contained 20 per cent overbased sodium sulphonate. Samples of both formulations were stored for three weeks, at 0°C, and at -10°C. The samples stored at 0°C were both still clear at the end of the three week period, as was the naphthenic sample stored at -10°C. But the paraffinic sample had a white deposit of sodium carbonate after the colder storage which did not dissolve when the sample was returned to room temperature or heated to 50°C. Tests have shown that naphthenic oils can be cooled to -50°C without deposits forming. Naphthenic oil's better affinity to metal than paraffinic oil is well known among users and has also been mentioned in literature on the subject. No scientific explanation of this has ever been presented but we nevertheless propose to discuss the phenomenon. One possible explanation could be that the superior solubility of naphthenic oil enables it to wash away dirt from a metal's surface and prevents a barrier being formed to the metal being wetted by oil. Another explanation could be that the naphthenic molecules are more polar than paraffinic molecules and therefore have a greater affinity to metal. One use where affinity is of great importance is when fluids are used in boring deep holes, where it is important that the walls of the hole are coated with oil and where a simple formulation is required without any special filmforming additives. One disadvantage of naphthenic oils is that they have higher volatility than paraffinic oils, which can have a negative effect on the working environment. Misting – formation of a mist of very small oil drops – has a similar or worse effect. Misting can be measured using a method called CNOMO D65 1649 which involves passing a stream of air through oil. Nynas R&D conducted a study to compare misting for a naphthenic oil, T22, with that of a corresponding paraffinic oil. The results showed that the naphthenic oil created 1.8 per cent misting, whereas the paraffinic oil created 2.5 per cent. This result shows that the higher volatility of naphthenic oil is well compensated by a lower degree of misting. More research is under way to study these properties which are important to the working environment. The properties of naphthenic oils are well known and documented, when it comes to emulsions of water and oil. That the emulsion's stability is better has been shown, inter alia, by the study published in Naphthenics Magazine, issue no. 2/02. That report looked at a special group of metalworking fluids, rust inhibiting agents, and concluded that emulsions of naphthenic oils are considerably more stable than emulsions formed from paraffinic oils. Conventional emulsions – where the concentrate only contains oil and additives – were the subject of this study. Another group of waterbased metalworking fluids is semi-synthetic fluids that normally contain higher amounts of emulsifiers and lower amounts of oil than conventional emulsions. The concentrate used in semi-synthetic fluids also contains considerable quantities of water. Such concentrates appear totally clear, but are actually a micro-emulsion with very small oil drops, 0.01 – 0.1 µm. These great differences mean that, without conducting new experiments, it is not possible to draw the conclusion that semi-synthetic fluids are affected in the same way as other emulsions by the choice of oil. Therefore Nynas R&D set up a study to compare both naphthenic and paraffinic based concentrates of a semi-synthetic fluid. Since the aim was to create a micro-emulsion, the result should have been a clear and totally transparent fluid. This was the case with the naphthenic oil. However, the paraffinic oil resulted in a milky and coarse emulsion which started to separate immediately and after 48 hours had separated completely into two phases. The emulsion formed from the naphthenic oil is still stable at the time of writing this article, several months after the experiment was completed. In order to produce a successful micro-emulsion using paraffinic oil, the amount of emulsifiers had to be increased by up to 20-30 per cent above the original formulation and the amount of oil reduced. The emulsifier is five times more expensive than the base oil which which represents a commercial disadvantage to the formulation. Paraffinic OIL'S poorer ability to form emulsions means that it is only possible to form stable emulsions within a narrow range. There is no tolerance for variations in formulation or contamination, even from other oils. Naphthenic oils have a considerably better ability to form emulsions which gives important advantages in formulations. The properties of naphthenic oils also allow greater margins within which to obtain stable emulsions. The advantages are moreover reflected in better properties in the end products.